I wasn’t with Finn on that August night. But I should’ve been. It was raining, of course. And he and Sylvie were arguing as he drove down the slick road. No one ever says what they were arguing about. Other people think it’s not important. They do not know there is another story. The story that lurks between the facts. What they do not know—the cause of the argument—is crucial. Publication Date: April 1, 2013. 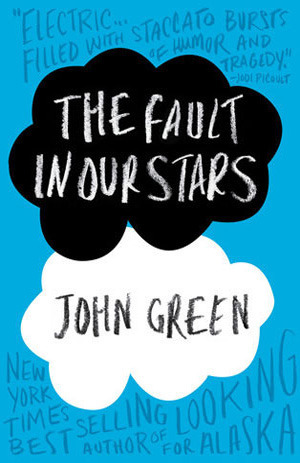 Don’t be fooled by my favorite quote; this book is not about the love of books. However, the main character, Autumn is an avid reader and writer so there are many quotes in this book dedicated to her two passions which I find most enjoyable. I purchased this book on a whim from Amazon because it was priced for approximately $3—a bargain I could not pass. Upon receiving the package, the book retired to my bookshelf for a year only to be picked up a couple of days ago. As I have not heard much about this book, I went into the reading with little to no expectations. Admittedly, I was hoping for a novel similar to 7 Souls, ones of my favorite books. Yet, this book is far from that. Rather than watching my protagonist try to defeat her death like in 7 Souls, Autumn discovers love and its implications and limitations. Yes, very different than my slight anticipation. Autumn is not a typical teenage girl. She craves being different, enjoys being known as “the weird girl,” and is perfectly okay with settling. Rather than find her irksome, the novel reveals reasons as to why she is so different from her peers, and it breaks the reader’s heart. Throughout the novel, Autumn reveals pieces of herself to the audience which definitely demonstrates the many dimensions she has as a character. While this revelation of Autumn is necessary, I, unfortunately, find it to be a bit too slow for my taste. Many scenes were unnecessary. There are frequent tense changes. Other pivotal scenes are cut too short with little explanation. Additionally, the ending, the most pivotal moment of the book, fell extremely short of my expectations. I feel that Nowlin quickly wrote this ending scene and left it totally ambiguous that it is frustrating to readers. Together, these elements make the novel a bit frustrating to me at times. Despite my frustrations, Nowlin’s writing is decently easy to follow and rather addicting. While I read this book, I got lost for hours in this world many times. This book is a great summer read that you can quickly finish. I’d recommend this to those who enjoy realistic and contemporary young adult fiction. It’s time for a book review! Tuesday Book Reviews are a part of my Daily Post; to learn more about it, click here. When 13-year-old Gretchen Harris’s mother is murdered at Gretchen’s 8th Grade graduation party, everyone in the town of Delphi, California, suspects a power struggle within the Oculus Society: Delphi’s version of the Junior League. Gretchen’s best friend, Jessica Shaw, might even hold the key to finding the culprit with The Plotinus Ability: the Oculus Society’s jealously guarded secret power to trade souls, which hinges on a kiss. Gretchen’s hope at finding the murderer ends in tragedy when Ariel Miller—the class outcast—stalks Gretchen and Jessica and surreptitiously films them exchanging a kiss to test if the Plotinus Ability is real, not knowing their motives. The ensuing YouTube video (“Popular Girls = Secret Lovers”) goes viral, Gretchen’s and Jessica’s lives are further shattered, and they vanish from Delphi. Expected Publication Date: September 3, 2013. 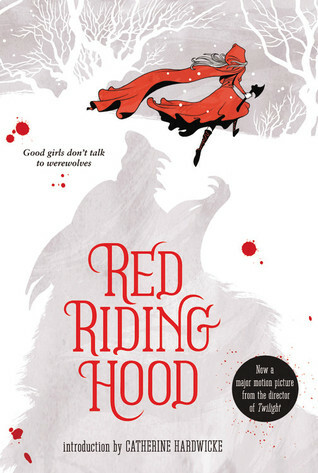 While I think the girl and overall design is beautiful, the book’s cover holds no relevance to the story. In fact I believe that it is just a typical pretty YA cover designed with the intention to sell more books when it’s published. It’s okay but not one of the best. I absolutely loved how this book was told through dual plots: the ancient Romans’ invention and use of projection and the modern society’s continuation of projection. Creatively, Green conceived this magical act of projection, the power to trade souls with another person, in the early Roman Empire. While women were suppressed in this society, this power gave them a sense of sovereignty against the men’s oppressive authority. Since then, women had secretly passed this power among generations, where it was found in the modern times of this book. Still, women honored this power and found it was fundamental to their lives. Both the ancient women and current women created a strong sense of female empowerment that made for a great read. This book was full of many plot twists, which were unexpected by readers. Combined with the tense mystery element, the plot’s zigzagged development constantly kept the audience on their toes in anticipation for what was to come. Nothing was predictable, which made for an overall entertaining read. Wow, what a gripping ending. Initially I was concerned within the last 50 pages because I felt that the novel would end unresolved; however, the novel quickly pieced together that created an intricate sub-plot story, which was entertaining and riveting. At times I felt that there were inconsistencies to the personalities of the characters, as if they were not fully developed. While their development was not terrible, I believed that Green had the potential to create more three dimensional characters. Considering this book was a mystery novel, implementing deeper well-developed characters would have further enhanced the mystery element and generated more suspicions. Overall, their actions and mannerisms never fully created genuine characters, which was frustrating. Lastly, Green overemphasized the true criminal. Suddenly, all of his or her actions became suspicious, which aided in my belief that the people in this book sometimes acted out of character. It was upsetting, as I was hoping for a more unsuspecting mystery. While placing together the final pieces of the puzzle and capturing the criminal were fantastic, the suspect’s actions became increasingly annoying as they were too obvious and detracted from the mystery elements, which created more of a suspense novel. 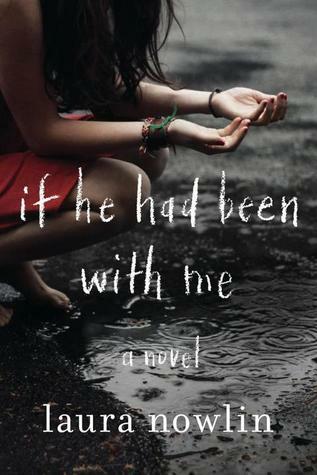 I’d recommend this book to those who enjoy simplistic young adult suspense and mystery novels. Mention Monday is the day where I give a book recommendation. Additionally, they are a part of my Daily Post; to learn more about it, click here. Valerie’s sister was beautiful, kind, and sweet. Now she is dead. Henry, the handsome son of the blacksmith, tries to console Valerie, but her wild heart beats fast for another: the outcast woodcutter, Peter, who offers Valerie another life far from home. After her sister’s violent death, Valerie’s world begins to spiral out of control. For generations, the Wolf has been kept at bay with a monthly sacrifice. But now no one is safe. When an expert Wolf hunter arrives, the villagers learn that the creature lives among them–it could be anyone in town. It soon becomes clear that Valerie is the only one who can hear the voice of the creature. The Wolf says she must surrender herself before the blood moon wanes…or everyone she loves will die. After reading this book I was extremely dumbfounded with how to rate and review it. One one hand the book frustrated me. The beginning was a tad slow. The plot summary ruins a huge plot twist. The book was a piece of advertisement for the then upcoming movie. And, yes, it involves a stereotypical love triangle with paranormal elements to complicate matters. Beyond this I was hooked. I adored all of the characters; since there was a huge mystery element in this book, I found myself questioning every character and his or her motive. Since every character fell under suspicion, their life stories became imperative to solving the mystery. Not only did this generate interest in the characters, it also gave the characters depth-something I believe is imperative in successful character development. Additionally, I enjoyed how the overall mystery was completely unpredictable; it left me with my jaw dropped and the inability to read for a few days. While not many people like the complete novel, I enjoyed these elements of the story. For some reason these aspects enabled me to look beyond the “typical frustrations” and appreciate its good portions. No it is not a groundbreaking YA novel, but it is an enjoyable read-one that I read in one sitting, and for these reasons I would recommend this book. Hello, everyone! I am in the process of compiling a list of various book recommendations according to genres. However, I have one section dedicated to my follower’s recommendations, so I need your help. If you have any recommendations, whether it is an adult thriller, new adult romance, or young adult dystopian, all are accepted! Of course, you will get credit (I’ll link your blog within the rec, as you deserve it!) Please send as many as you desire! I greatly appreciate all of your help! Happy Friday! The weekend is finally here! It’s time for Friday Reads, in which I share with you all what I plan on reading this weekend. Friday Reads is a query that was started on Twitter and has been carried over to the book blogging/vlogging community. It is also a part of my Daily Post; to learn more about it click here. I received Sweet from the author and publisher via Goodreads in exchange for an honest review. Currently, I am 50% into it and find it to be a fairly easy read. After completing The Book Thief, Wilkerson’s conversational writing style is easy to comprehend, which makes this book a fairly quick read. Despite its writing style, I do have some issues with the book, which I’m sure will be detailed in my review. I hope to be finished with it tonight, as I am trying to complete many of my ARCs and write my reviews! When 13-year-old Gretchen Harris’s mother is murdered at Gretchen’s 8th Grade graduation party, everyone in the town of Delphi, California, suspects a power struggle within the Oculus Society: Delphi’s version of the Junior League. Gretchen’s best friend, Jessica Shaw, might even hold the key to finding the culprit withThe Plotinus Ability: the Oculus Society’s jealously guarded secret power to trade souls, which hinges on a kiss. Gretchen’s hope at finding the murderer ends in tragedy when Ariel Miller—the class outcast—stalks Gretchen and Jessica and surreptitiously films them exchanging a kiss to test if the Plotinus Ability is real, not knowing their motives. The ensuing YouTube video (“Popular Girls = Secret Lovers”) goes viral, Gretchen’s and Jessica’s lives are further shattered, and they vanish from Delphi. I was provided Projection from the publishing company (Soho Teen) via Edelweiss in exchange for an honest review. I have approximately three weeks to get this book read and reviewed, so I definitely need to start this one! I’m looking forward to the mystery elements in this story. Of course, there will be a review published in the future! Hopefully, I get this finished this weekend so I can check another ARC off my list! Happy Thursday! It is time for be to talk about a book that I cannot wait to read! Thirsty Thursdays are a part of my Daily Post; to learn more about it, click here. Earlier this summer, I received Projection from Netgalley in exchange for a review. After two months of insane hard drive computer issues, I finally have my computer working and was able to download this book to my Nook. As its publication date is impending (September 3, 2013), I definitely need to shake a leg and read this book! Quite frankly, I’m in the mood for a creepy mystery that involves some stalker elements, so I think this book will suit my cravings! I look forward to reading and reviewing this book fairly soon! Currently Reading: Sweet and am 41% into it.